Over the past couple years, I’ve learned more about the poor behavior within the martial arts than I ever wanted to know! 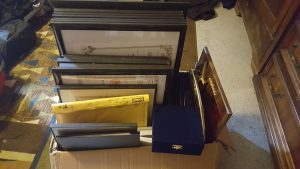 I’ve had my own horror story of being homeless after believing that I was going to become part of an organization that would lead toward a huge goal that I had. I also watched as that person/group tried to convince seniors of the Kwan that they would fulfill those goals…even after a 10 year federal prison term. 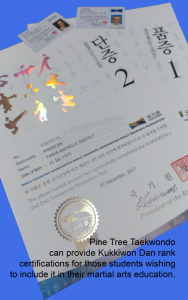 1) delays submitting Dan applications to the Kukkiwon for 10 months to over a year, 2) schedules testing at random intervals with unspecified requirements for Dan – Black Belt – testing, 3) charges anywhere from $600 to $10,000 for Dan testing. These are sad examples of what happens in an unregulated industry. How do you know what is a good school? How can you believe that you and/or your child(ren) will get a proper martial arts education? These are samples of the questions that you won’t know until after you start training. Yes, sadly, you will have to join a class for a while and attempt to become part of their family before you truly find out if you belong there. If the school can’t tell you about who their current teacher is and where (s)he trained plus who their teacher was and their teacher’s teacher was. If the school talks contracts for certain levels before they even let you try a class. If the school doesn’t have a schedule for training and testing. If the school doesn’t list it’s tuition and test fees. Those are just things off the top of my head. There is SO much that can be tainted in a martial arts school that hurt the student trying to learn and the family finances. It is here where anyone not training but thinking about it has the chance to keep these schools honest. One of the key principles of training in the martial arts, Taekwondo in particular, is that of Integrity. If the schools and their teachers can’t answer questions honestly, how can they teach integrity to you and your child? If the school owners and teachers answer “I don’t know.” to questions asked, then you may not want to be there!